Is that pixie dust in your skinny caramel macchiato? 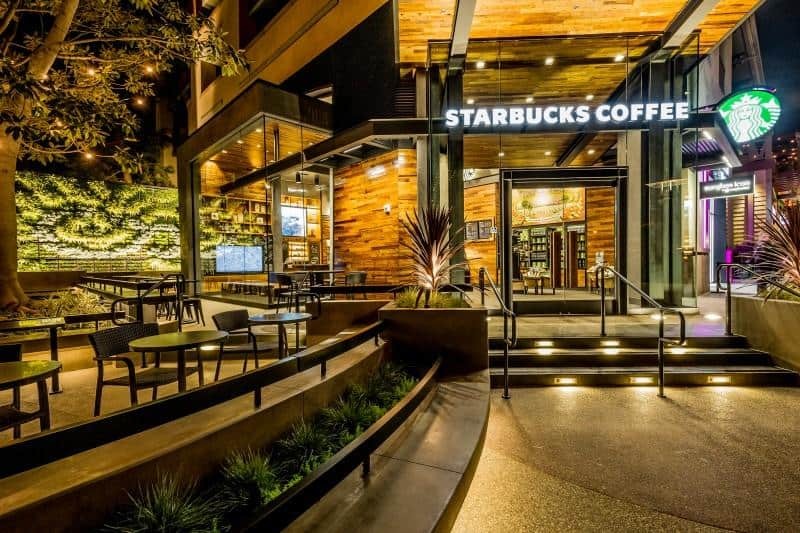 It could well be, because Mickey and Minnie now have their very own Starbucks location in California’s Downtown Disneyland. And this store – the first of four stores to be opened at Disney properties in the US – even has an interesting environmental twist. 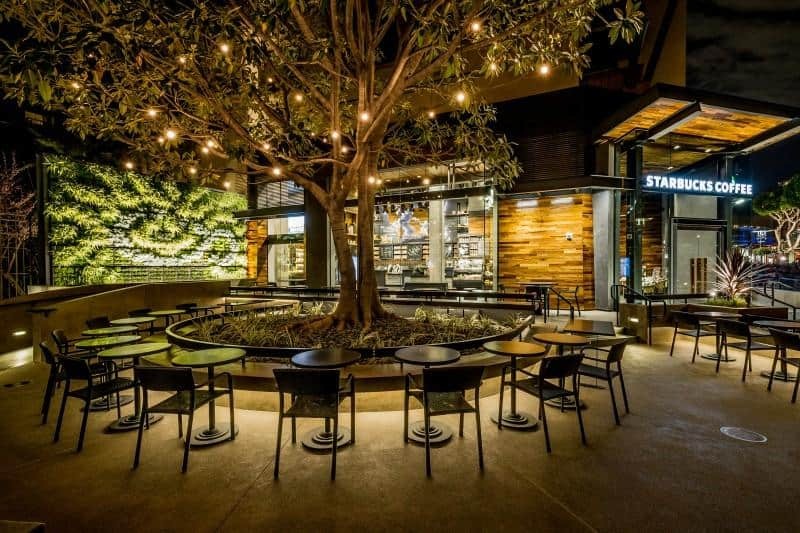 Built to meet stringent LEED-standards, the store includes an outdoor patio designed around an old growth tree, reclaimed wood siding and a living, green wall with more than 1,000 native plants in the shape of a coffee cup. Developed by the US Green Building Council, LEED (Leadership in Energy and Environmental Design) certification requires companies to meet the demands of a complex set of rating systems for the design, construction, operation and maintenance. However, this is not the first time that Starbucks has put the environmental sustainability at the top of the menu. Last year the company opened a drive-through location in Seattle made from recycled shipping containers. The inspiration came from the view from the company’s Seattle headquarters – a busy port overlooking sprawling with shipping containers from around the world. 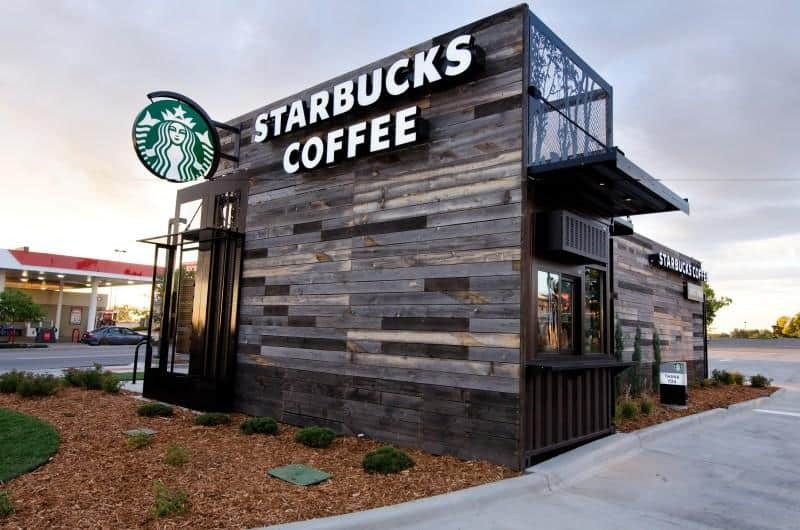 Recognizing that its own supply chain relies on such containers to transport coffee and tea, Starbucks found a way to reconfigure containers into an innovative store design. 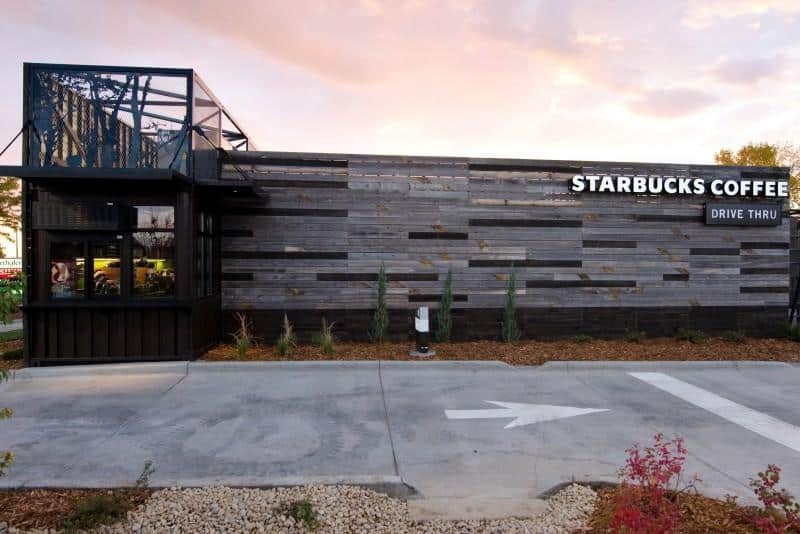 The design follows hot on the heels of the opening of a drive-throughs constructed of shipping containers in Salt Lake City and Portland, and a drive-through constructed from old Wyoming snow fencing in Denver.